@BrandSanderson My assistant Karen wrote a post about Roshar’s “supremely logical and at the same time totally crazy” date system. @BrandSanderson Oathbringer is @audible_com’s most preordered book of all time! @BrandSanderson We’ve only broken one of @WellerBookWorks tables so far, so that’s a good thing. @BrandSanderson And here is a Windrunner Llama. Enjoy! 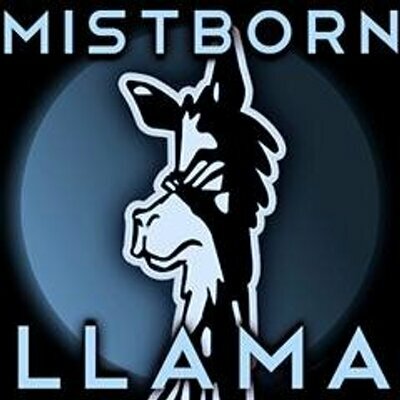 @BrandSanderson I don’t think my stick figures are as good as my llama. @BrandSanderson Alright you torcherers, here’s your limerick this year. Still at @WellerBookWorks, 800 down, 300 more to go. @BrandSanderson And…done. Whew. 1100 books and one sore signing hand. Thanks, all, for keeping me so busy! @BrandSanderson Who would you be in The Stormlight Archive? Take @Torbooks quiz to find out! @BrandSanderson Just a reminder, the ARC giveaway closes tonight at midnight (MST). I (Adam) will contact the winners tomorrow. Thanks! @BrandSanderson #Oathbringer is out next week! Huzzah! Until then, you can read the prologue through chapter 32 on @tordotcom. @BrandSanderson Adam here, winners of the Oathbringer ARC giveaway have been notified or emailed, so check your email (and spam folder) to find out if you were selected. @BrandSanderson Check out this awesome sketch of Lift by Dason Adamos. Great work! @BrandSanderson Adam here. A quick reminder for everyone attending the release party tonight: if you don’t bring your receipt with you, you will not be getting your copy of Oathbringer. See you soon! @BrandSanderson You know, I’m starting to think this author thing might work out for me. Well, I got done a LITTLE earlier tonight than I did last night. (2am instead of 5am.) You guys are keeping me busy. @fishman550 I can almost always do both, but the bookstore has final say. If you left my signing in SF in the last 30 min, would you check if you accidentally grabbed an extra phone? Someone’s Galaxy Note vanished. If you’re flying through San Francisco Airport, check the compass books in Terminal 2 (kind of near gates in the 50s) for signed books! Portland (PDX) airport Powell’s Bookstore has a ton of signed Oathbringer. And they are outside security, so anyone can shop there! Houston IAH Airport! Signed Oathbringer and other books can be found at the Simply Books kind of by Gates C1-C15. I left some signed copies of Oathbringer at @MurderByTheBook and they will ship! Chicago O’Hare, find signed books at the Barbara’s bookstore by gate B10. I will get the other locations on my way out tomorrow. @TwoFiftyEight No autopen. I spent many nights this summer signing those. Chicago O’Hare! Find signed books at the Barbara’s bookstore by gate E5. Note that some copies are on front tables. Also, O’Hare airport, many copies (including the white sand graphic novel) signed at the Barbara’s bookstore between the h and k gates. I’m back in Utah for a few days before heading to the UK next week, so I signed some more Oathbringer in the airport Simply Books. Gate C7. #MistbornMonday fan art of Vin by DragonLe. JFK airport, there is a SECOND @hudsonbooks right around the corner from the first, Gate A2, and it also has some Oathbringer signed. @BrandSanderson Where will you be in London? @votesgeorge Forbidden Planet. Details on my website. I’m here in London! Signing at Forbidden Planet from six until whenever I get done. @MorganFenton199 On Saturday Evening, I will be there! Details on my website. The @whsmith Bookshop at Houston Station has a single signed Words of Radiance. Stopped in the Birmingham New Street Train Station @Foyles Bookstore and signed a ton of stock! If you’re passing through, stop by! For my Polish readers: Oathbringer part one is now available. Happy reading!